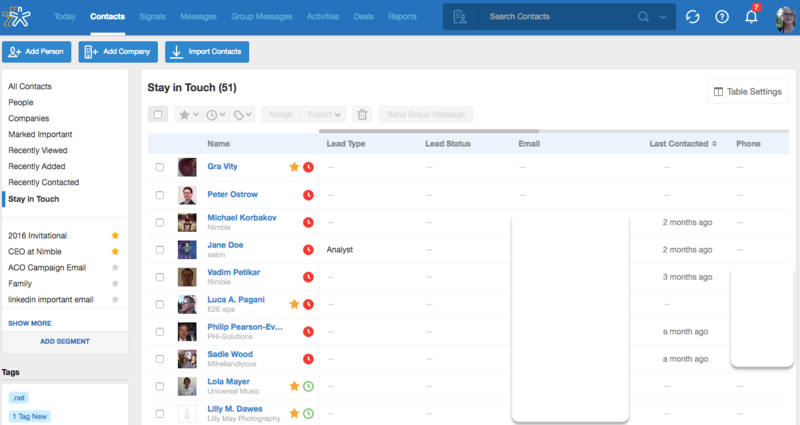 Our "Stay in Touch" feature offers a dynamic way to stay top of mind with your most important contacts! Who do I use this for? 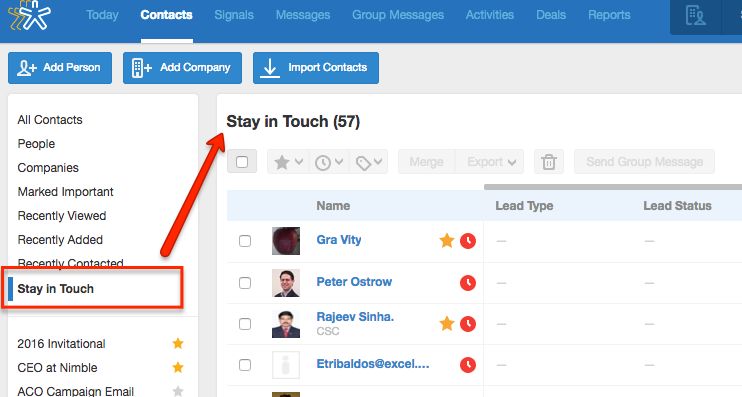 Use this feature for any contacts you have that you want to keep in touch with on a recurring basis, i.e. someone you want to contact weekly, monthly, quarterly, or yearly. On a contact, go to the "Clock" icon and set a time interval for when you would like to keep in touch. Once you select an interval, the icon will shift to green, the interval is displayed when you hover over the clock. On the Contacts tab, you will see all of your reminders on the left-hand side. If you have a long list of contacts, you'll see a list of contacts with the most "out of touch" contacts at the top. Does it update based on my communications? Yes. Once you send a message to your contacts, the "Stay in touch" reminder will reset to the original interval you set. What if I want to turn off the reminder? You may turn off the reminder by going back to the contact record, then select "No Reminder". How do I manually update the reminder? 1. Select "Add Activity", then select "Log Touch". 2. After entering the Log Touch information, mark the box for "Update Stay in Touch Reminder"